Product prices and availability are accurate as of 2019-04-22 10:07:10 UTC and are subject to change. Any price and availability information displayed on http://www.amazon.com/ at the time of purchase will apply to the purchase of this product. 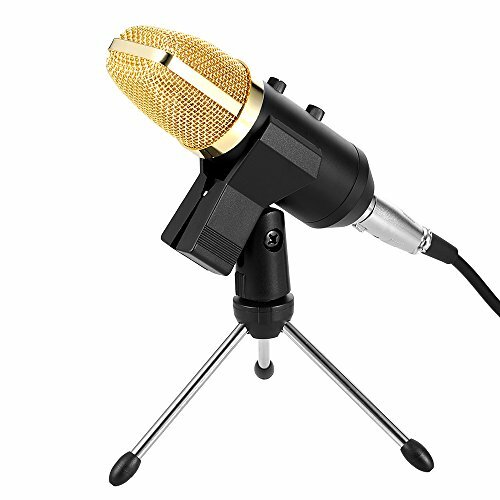 The capacitor microphone to create the best equipment network K song is a collection of microphone amplifier and reverberation regulating function in the integration of professional condenser microphone. It’s designed for network K song and computer recording. Microphone has many characteristics, like good, clear sound quality, volume reverberation. low noise. With excellent reverb chip and professional level of preamplifier chip, it's a famous professional network K song with reverberation function. The volume, reverberation can be controlled on the microphone body. You can adjust the ECHO knob to add perfect reverb effect. Adopting good quality metal of main body with decent black body and gold steel net, it's exquisite and elegant. 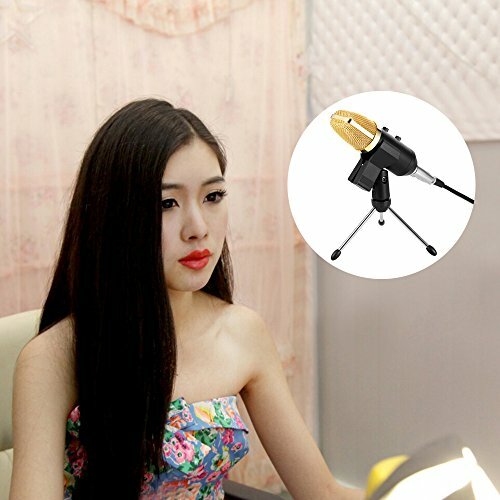 Comes with an adjustable clip and a foldable mini tripod stand for convenient usage. Wind foam cap can greatly insolate airflow noise and prevent splashing. Adopting high quality corrosion built-in three stitches, the audio line has stable frequency and clear sound quality. With USB plug to power the microphone, no need extra phantom power. 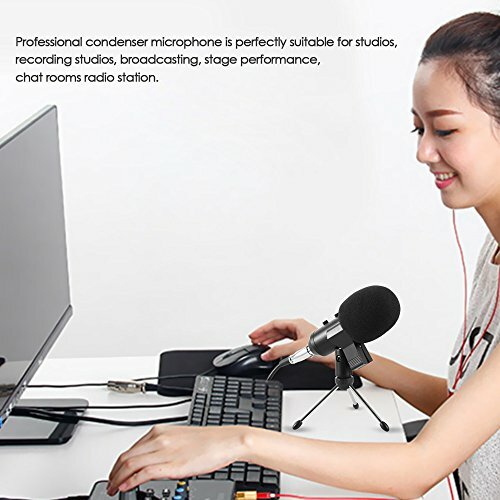 Professional condenser microphone is perfectly suitable for studios, recording studios, broadcasting, stage performance, chat rooms radio station.